Lilacs are a favorite of mine. I love the way they smell, the way they look, I love everything about them. 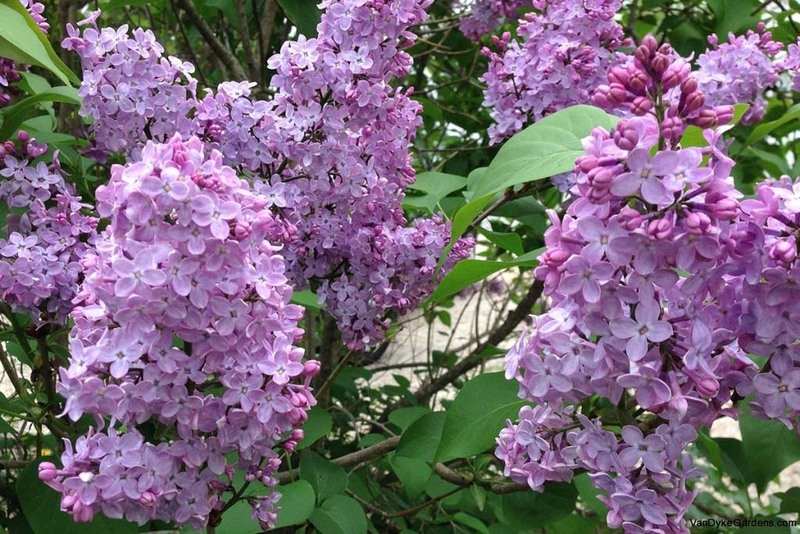 We have 5 different varieties of lilacs in our yard. 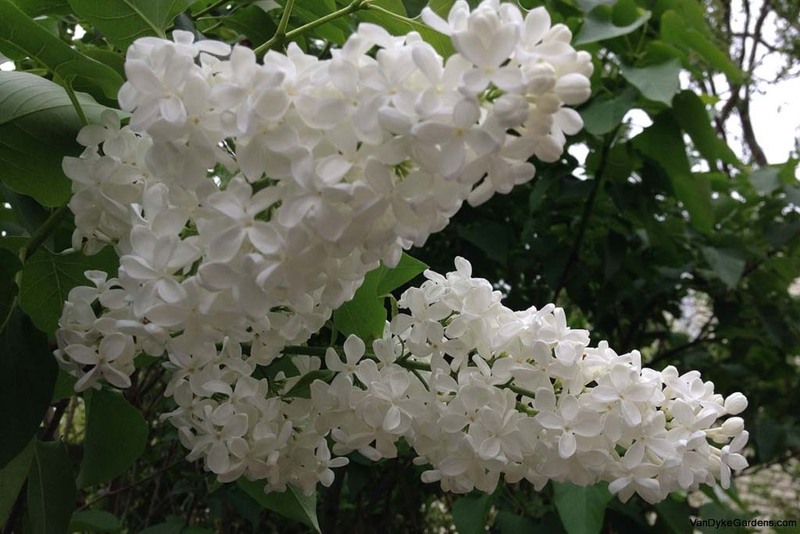 They include Sensation lilacs, Primrose lilacs, Giant White lilacs, Josee lilac, and the Big Standard lilac. I was amazed that all of these different varieties were in bloom at the same time. All these photos were taken on the same day: May 16, 2014. The Sensation lilac is just gorgeous. Love the picotee detail on each petal. Really striking in the yard. This one is small still, but hoping it will get really big. This primrose lilac blooms yellow, but the flowers are more like off white, than a deep yellow. Very pretty, but not as fragrant as the purple. 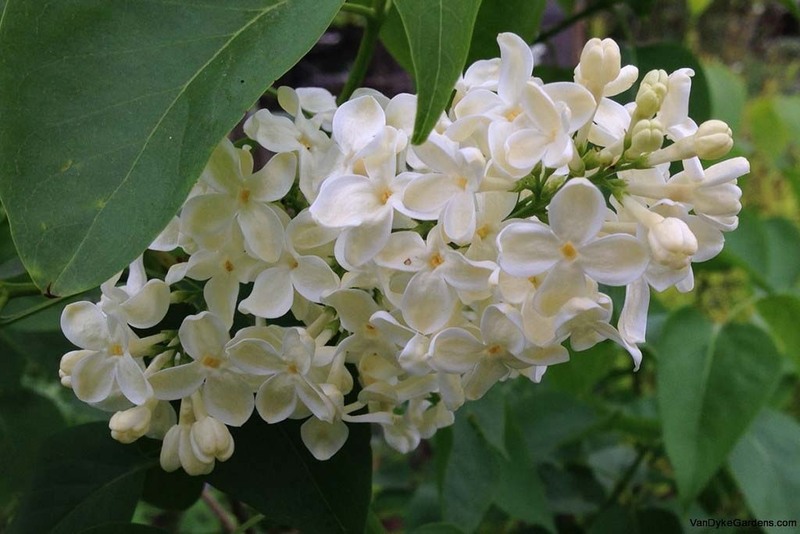 A giant white lilac by the pool blooms with huge flower heads. Nothing is a fragrant as the purple one out front, but this one isn't bad. 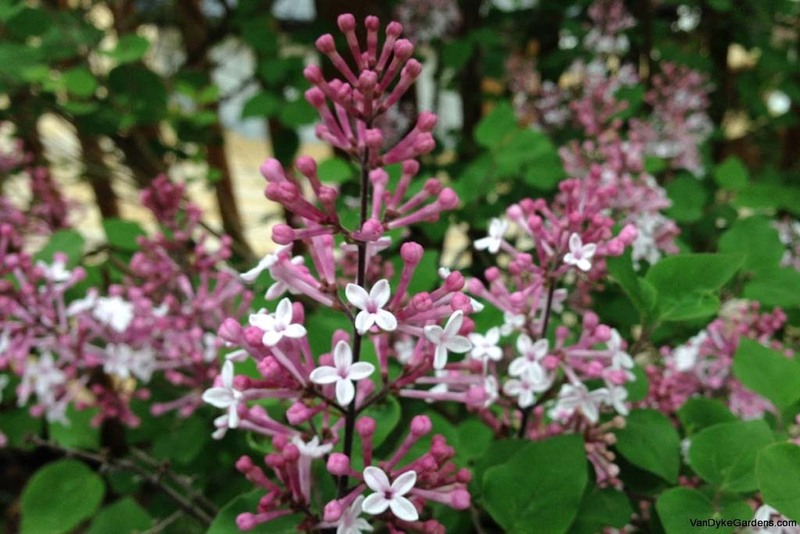 This sweet little Josee lilac by the back door is a rebloomer, which means it blooms with delicate flowers puts out very tiny flowers in May. Then it produces very small flowers every now and then throughout the summer. Usually only one or two at a time. The big standard Lilac produces huge blooms that I bring into vases. Love this flower. 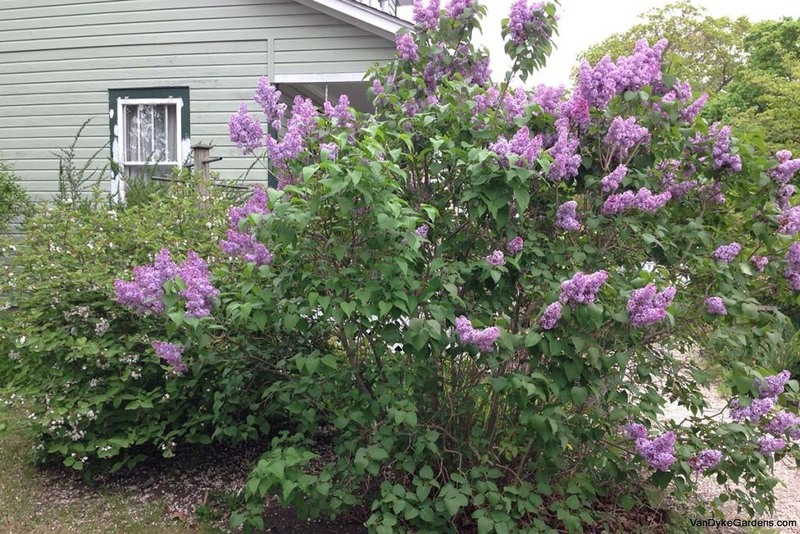 This huge lilac needs to be pruned and will probably get done after it flowers this year. It's starting to block the driveway. 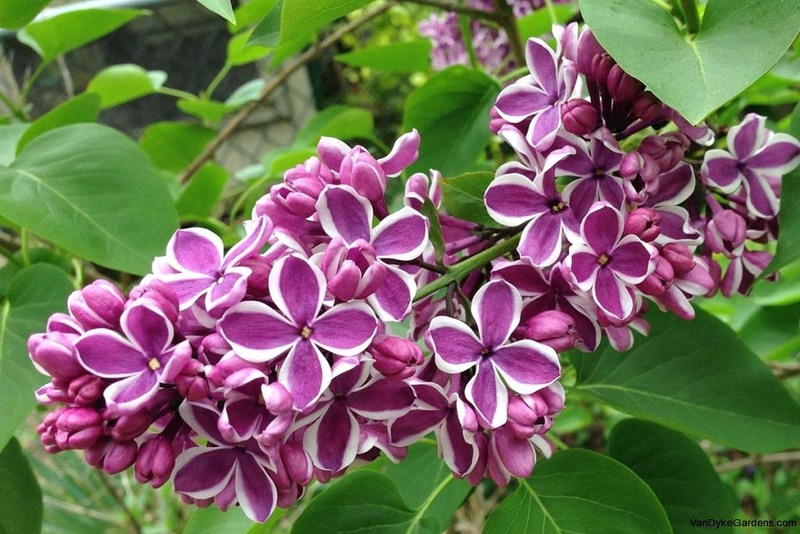 Posted in Our Garden and tagged Gardening, Gardens, LI, LI Gardening, Lilacs, Long Island, Our Garden, VanDyke, VanDyke Gardens, VD Gardens, Whats growing, Whats in Bloom.